Time to come together and discuss our first book: Battle Scars, by Meghan O’Brien. Anne, Brenna, Conley, & Foley couldn’t be more excited. This book has it all: both types of vet, dogs, kisses. It doesn’t get much better than this. Note: This is a kissin’ book, so we do use adult words for adult body parts. Also, we were still getting the feel for our recording set up, so bear with our poor audio quality this time around — we get better, honest. There’s still time to catch up and read along! Buy a copy using the link below to support our podcast — we get the tiniest of kickbacks from Amazon when you buy via these links. Buy Battle Scars on Amazon in paperback . 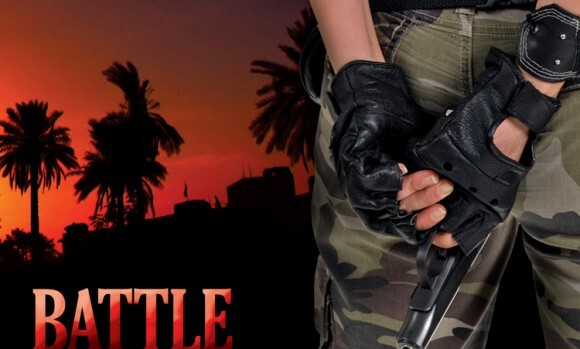 Buy Battle Scars on Amazon as a Kindle book, and no one will ever know. Our secret. Our next book is Branded Ann, by Merry Shannon. 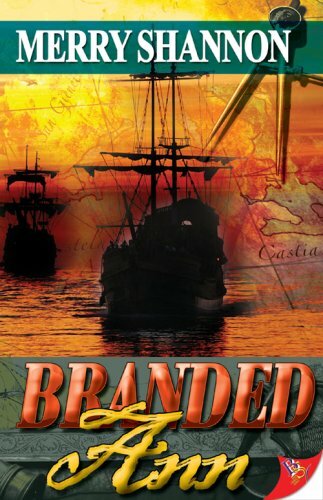 No pirate on the high seas is more bloodthirsty than the notorious Branded Ann, a woman with eyes like ice and a face marred by a mysterious cross-shaped scar. When she raids a merchant vessel bound for Jamaica, her only objective is to obtain the map that will lead her to a legendary treasure. 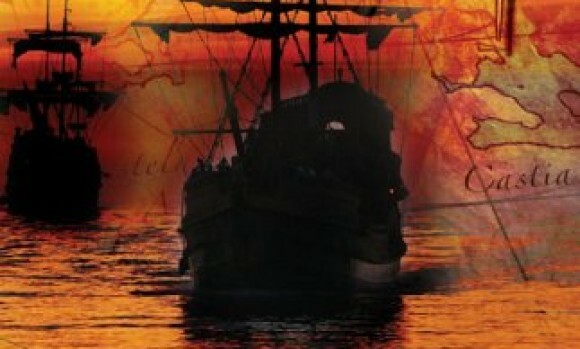 But she hadn’t bargained on taking Violet, the merchant’s young widow, on board her ship as a prisoner. In spite of her childlike appearance, Violet has a dark side of her own that Ann finds both infuriating and endearing. As Branded Ann sails in search of treasure, her task is made more difficult by a stowaway child, an increasingly rebellious crew, and the treacherous seas of the Devil’s Triangle; to make matters worse, she finds herself falling for her not-so-innocent but altogether charming captive. But will Violet be able to overcome the demons of her past and accept Ann’s love? And will they survive the treasure hunt that has already claimed the lives of so many before them? Spoiler: yeah, and they make out, like a lot. Read along and be ready for our next discussion! Buy a copy using the links below to support our podcast — we get the tiniest of kickbacks from Amazon when you buy via these links. Welcome to the LadyLike Book Club, a podcast about books about ladies who like ladies. In the first episode, we meet our main crew of ladies: Anne, Brenna, Conley, and Foley. We take a moment to share who we are, where we’re coming from, and what we hope to accomplish in this exploration of lady makeout books. 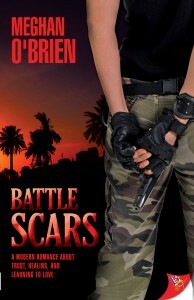 Our first book is Battle Scars, by Meghan O’Brien. Returning Iraq war veteran Ray McKenna struggles with battle scars that can only be healed by love. Ray McKenna returns from the war in Iraq to find that she has attained unwanted celebrity status back home. As the only surviving American soldier of a well-publicized hostage crisis, she is the center of attention at a time when all she wants is solitude. Veterinarian Dr. Carly Warner hasn’t yet figured out how to open her heart to the possibility of falling in love again after the death of her longtime partner. When Ray McKenna walks into the North Coast Veterinary Clinic with Jagger, she and Carly begin a friendship that takes them both by surprise. Brought together by their shared love of dogs, Ray and Carly discover that they are both capable of moving forward, if only they are brave enough to try. That’s right: Vet-on-vet kissing. Get excited. We are. Plan on reading along? Buy a copy using the link below to support our podcast — we get the tiniest of kickbacks from Amazon when you buy via these links.